Can I Have a 3D or 4D Ultrasound Scan at 16 Weeks? How do 3D & 4D scans differ from 2D scans? 2D, 3D and 4D ultrasound scans all use sound waves to generate an image of your baby. 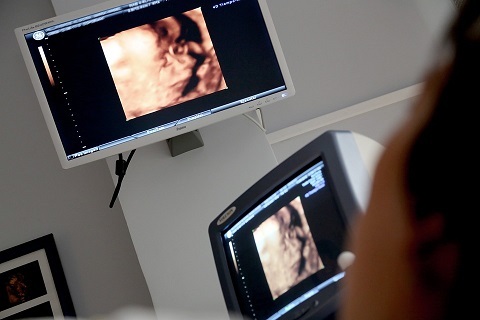 But, unlike 2D scans, 3D and 4D scans are able to capture three-dimensional images of your baby. A 3D scan is a still image and a 4D scan captures a video showing your baby moving around inside the womb. 3D and 4D scans aren’t typically made available to mums until around 24 weeks because time needs to be allowed for your baby to grow and gain some weight. If you have a 3D or 4D scan earlier, you might be disappointed by the results because your baby’s facial features won’t be fully developed yet. At 16-weeks, 2D ultrasound scans can tell you lots about your baby, including; baby’s gender, size and overall wellbeing. What can I expect at a 16-week 2D ultrasound at First Encounters? At First Encounters, we offer a range of insightful 2D scans to mums at 16-weeks. 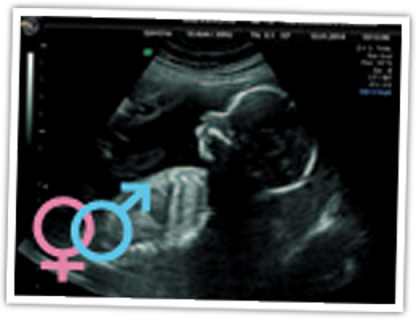 Our gender’N’growth™ scan and Premier gender’N’growth™ also offer a 4dGlimpse™ of your baby. What can I expect at a 4D Bonding & Reassurance scan at First Encounters? At First Encounters, our 4D scans are available from 24-32 weeks. You and up to six guests can watch your unborn baby in motion. All of our 4D scans are displayed onto a large HD LED screen in our spacious scanning room while we capture stunning 3D photographs for you to keep. We also provide aPhoto2fone™ service that gives you an easy-to-access digital copy of your scan images. If you want to find out what else is included in our 4D Bonding and Reassurance Scans, or if you want to book in for a 16-week Gender Scan, then please visit our website to find out more information and book yours today.